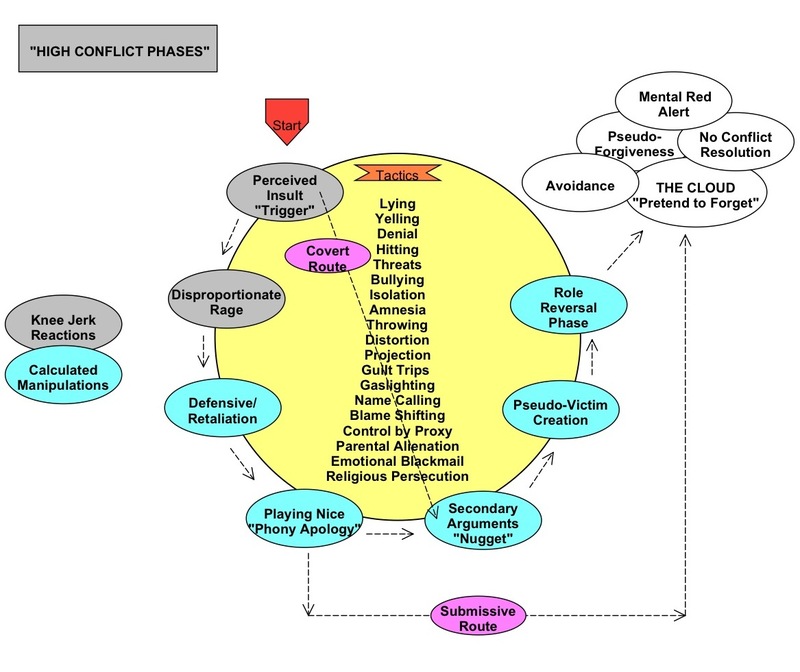 Unresolved high levels of conflict in relationships is a huge source of distress for the people involved. It is especially harmful to children and can lead to issues of alignment and alienation if left unresolved. I was brought up in a high conflict family of origin. It had effects upon my personal and relational development that I could not foresee and have taken a lifetime to appreciate. This website and my choice and development as a counsellor, coach and consultant in this field is no accident but a synthesis of personal experience and professional expertise. Couples involved in high conflict relationships do not miraculously become amicable and focused upon the children when they separate. On the contrary, they are more likely to continue the conflict with one or both parents using the children as a weapon against the other. If you are in a high conflict relationship then it needs to stop- immediately! Some members of the family law fraternity love high conflict couples because such people are prepared to spend any amount of money perpetuating conflict that could be defused or eliminated quite simply, especially before children are divided up, literally and metaphorically. There are many examples of people sabotaging Family Dispute Resolution Mediation, even when it is painfully obvious that this is financially and personally downhill once mediation is abandoned or when they renege on an agreement. It is also true that sometimes the best deal in town financially and for the children is when you stare down an ex-partner who is intent on continuing a dysfunctional relationship in conflict, regardless of the effect upon them or the children. However, not everyone is in that situation. Parents who see me in the context of parental alienation have generally lost contact with their children because of unresolved high conflict that olne parent tends to perpetuate and enmesh the other. Usually this conflict will not be resolved simply by going to court. Such extreme conflicts generally continue long after final orders are made and they continue to harm the children, rendering final parenting orders unworkable. Indeed, perpetuation of high conflict can adversely influence the outcomes of family law cases because conflict has a serious effect upon children’s relationship with their parents. This can cause them to align with one parent against the other or even worse, be alienated from one of their parents when the aligned parent exploits the conflict.